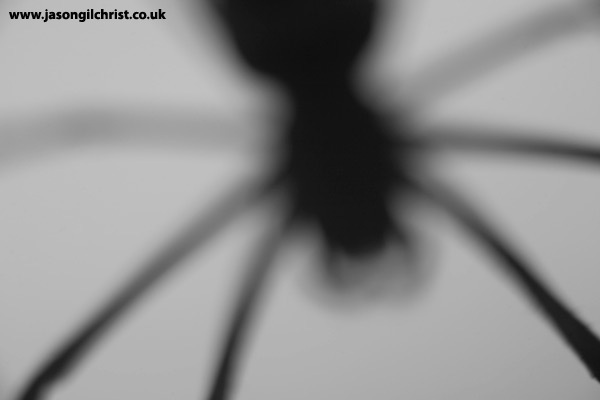 Silhouette of a female Golden Orbweb Spider (Nephila inaurata madagascariensis). These are actually very colourful spiders, but in this image I wanted to highlight the forboding nature of this predatory arachnid. The female golden orb-web spider is centimetres across, and many times larger than the tiny male.